Live Coverage of VA Governor Northam’s Press Conference took place on episode 69 of The Jay Doherty Podcast today. In the beginning, Mr. Northam outlined his main talking points and apologized for his previous actions. These actions, as outlined on The Doherty Files consisted of a picture of two men; one in blackface and the other in a KKK Robe. The original story broke from WTKR and was reported originally on conservative news site Big League Politics. After hours of the story being out in the public, VA governor Ralph Northam finally apologized issuing a statement originally. Then, he later followed up with this video on his Twitter profile. In the video, Mr. Northam does not discuss the possibility of resigning (he even mentioned the rest of his term). Although, the resignation was heavily mentioned by many prominent public figures including Kamala Harris, and others as discussed on TJDP. In fact, up until the point this video was released, it was unconfirmed whether or not the figures even consisted of Ralph Northam. He confirms it is indeed him, in the video above. 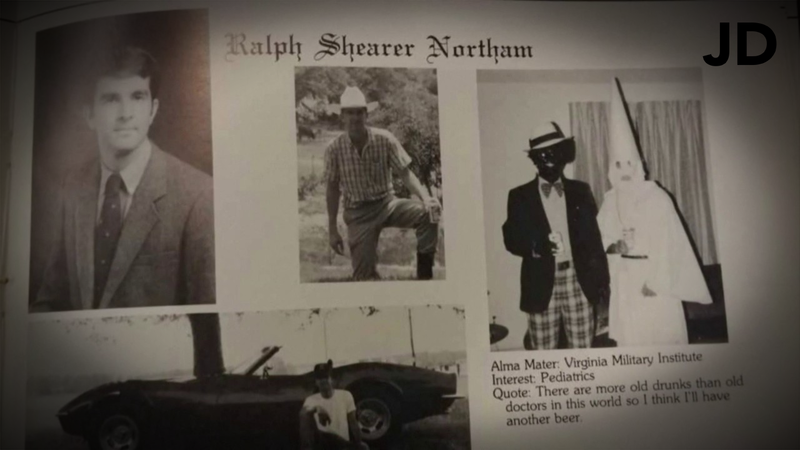 Things changed when Governor Northam altered his original statement, by saying he was actually NOT in the infamous photo. While this was a pretty vague statement, Northam clarified in his press conference today, which was covered live on episode 69 of TJDP. The shocker was when VA Governor Northam said he DID in fact wear blackface on another occasion where he tried to resemble Michael Jackson. Mr. Northam said he used “shoe polish” minimally under his eyes because “if anyone’s ever tried it, it’s hard to get off” he said. Northam comically added he knew “how to do the moonwalk”. One reporter even asked him if he knew how to still today prompting his wife to tell him it’s not the right circumstances. Read more about this story on The Doherty Files. Many of the stories mentioned on todays show are developing. Sign up for email notifications to be updated directly.